We’d love your help. 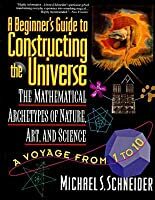 Let us know what’s wrong with this preview of The Beginner's Guide to Constructing the Universe by Michael S. Schneider. To ask other readers questions about The Beginner's Guide to Constructing the Universe, please sign up. I have just finished reading this book, and I like some parts of it. After getting over my initial disappointment, I realized that I had expectations from its title, and the title simply is misleading. The book is really about geometric patterns in our culture and in ancient and other modern cultures. Where do these patterns come from, and how do they manifest in art, in symbology, in philosophy. Many of the geometric patterns--maybe all of them--come from nature, and that is where the author ti I have just finished reading this book, and I like some parts of it. After getting over my initial disappointment, I realized that I had expectations from its title, and the title simply is misleading. The book is really about geometric patterns in our culture and in ancient and other modern cultures. Where do these patterns come from, and how do they manifest in art, in symbology, in philosophy. Many of the geometric patterns--maybe all of them--come from nature, and that is where the author ties in to nature. The problem with the book, is that the author himself does not really understand what his book is really about. It's not about science. While the book asks science-related questions, (why do we see a spiral shape in shells, galaxies, hurricanes, and watery whirlpools), there are no science answers. And when the book does reflect on an interesting science question, like how does light penetrate through glass, the author says "E=mc2" as if the formula offers an explanation. The author seems truly ignorant of science, but I think he states Einstein's formula as a symbolic triad that pervades many cultures, rather than as a scientific explanation. The author has tried to organize the material in 10 chapters devoted, each in turn, to the numbers 1-10. But in so doing, he makes a mistake; in each chapter he tries to come up with all the examples he can think of, where that number appears in everyday life. Some of the examples are absolutely banal. For example, in Chapter 8 he mentions that in an octagon, there are 8 corner angles each covering 135 degrees, so the total angle adds up to 1080 degrees, which is the same as the radius of the moon, expressed in miles. Like this explains anything? I just can't slog through this book anymore. It was another book I really wanted to like. I read some reviews that warned me that it was less "Math, Nature, Art & Science" and more "New Age hoo-hah" and unfortunately that turned out to be the case. I can't verify that the connections the author is making are not true, just like I can't verify that they're not, because everything is written in that completely unsourced manner. But not only is it unsourced, it's also unexplained thoroughly, and I just can't slog through this book anymore. It was another book I really wanted to like. I read some reviews that warned me that it was less "Math, Nature, Art & Science" and more "New Age hoo-hah" and unfortunately that turned out to be the case. I can't verify that the connections the author is making are not true, just like I can't verify that they're not, because everything is written in that completely unsourced manner. But not only is it unsourced, it's also unexplained thoroughly, and sort of glossed over until there is just a vomited pile of stuff about whatever number/shape/idea the author is on, lying at my feet, about which I am dubious. Maybe I'm being too harsh, and I know that I have enjoyed many a feel-good yet unsourced pseudoscientific book before, but this one just rubbed me the wrong way. Around the first chapter, I encountered this pivotal rambling sentence: "In Hindu mythology, the dimensionless Brahma speaks aloud the word aham, 'I Am,' a word made of the first, middle, and final letters of the Sanskrit alphabet, which represents the circle's three parts; the center, the radius, and the cicumference, and our own spiritual center, psychological reaches, and outer material form". I decided then that this book is a skimmer, and that I would mostly look at the photos and read their captions. But by the time I got to the number 3, the author had started doing things like drawing triangles over pictures of thiings that did not really have triangular shapes, so that we could see how the "pattern" shows up again & again. Like, a butterfly, do you see how it looks like a triangle, man? Except I think it looks more like a pentagram shape, but then he draws a pentagram over a bat that is shaped more like a triangle in chapter 5. And by then he's got calipers next to every photo and I've given up. This is a wonderfully accessible book that takes each of the numbers from one to ten and devotes a chapter to the symbology and geometry behind it. Contemplating/meditating on the concepts in this book has been very conducive to some powerful experiences*. This book is a real keeper and I go back to i This is a wonderfully accessible book that takes each of the numbers from one to ten and devotes a chapter to the symbology and geometry behind it. Contemplating/meditating on the concepts in this book has been very conducive to some powerful experiences*. This book is a real keeper and I go back to it for reference from time to time. Highly recommended. If you are more of a multi media person you can get a DVD containing some of the same (and some additional) information presented in more of a slide show format-- just google for the author's web site. Whoever thinks our world is just full of chaos should read this book! It's all actually magically organized. This is an excellent, almost magical book about how the essential nature of numbers, their relationship with each other, and the patterns that arise from them shape the foundation of our world. It is also very dense, and the larger the numbers got the harder it was for me to read. (Your mileage may vary.) Eventually I realized I was not going to finish it, but it's going to stay on my shelves as an inspirational resource. I would recommend it to parents of young children as a way of inspiring you This is an excellent, almost magical book about how the essential nature of numbers, their relationship with each other, and the patterns that arise from them shape the foundation of our world. I would recommend it to parents of young children as a way of inspiring your kids to look at and interact with numbers in a new way. You wouldn't give this book to a child, but if you glean the essence of it and share it, it could be great. It would be great for middle readers as well, although -- again -- with the caveat that they wouldn't necessarily want to read every word, but to get the basic ideas, which would open up their experience and understanding of numbers, geometry, biology, and etc. Wow! This book is about more than math. It connects science, literature, philosophy,religion, art and architecture. I plan on using this as our core book for our homeschool studies in the fall. I was hooked from the very first page, and kept thinking how much I would have loved math in school, if I'd had a teacher like Michael Scneider. Intrigerend om eens stil te staan bij hoeveel symmetrie er eigenlijk in natuurlijke vormen zit, en hoe vanzelfsprekend mensen getalsverhoudingen in hun constructies terugbrengen. Een paar leuke weetjes opgedaan ook - van 'de aapfactor' die bergbeklimmers kennelijk hanteren, had ik nog nooit gehoord. I have mixed feelings in regard to this book. It took me three goes to finish it and it ended up being a bit of a struggle. On the positive side I have learnt many interesting nuggets of geometric and mathematical lore and some new graphic procedures. On the other hand, it was very 'New Age' in its approach and the terms of its narrative. I would have preferred a more classical philosophical approach in line with the Neo-Platonists rather than a load of Jungian psycho-babble about personal growt I have mixed feelings in regard to this book. It took me three goes to finish it and it ended up being a bit of a struggle. On the positive side I have learnt many interesting nuggets of geometric and mathematical lore and some new graphic procedures. On the other hand, it was very 'New Age' in its approach and the terms of its narrative. I would have preferred a more classical philosophical approach in line with the Neo-Platonists rather than a load of Jungian psycho-babble about personal growth, saving the planet and raising one's consciousness etc. I also noticed several factual errors in the text, and given that there are no footnotes it is impossible to check sources - so I reckon there are plenty more errors dotted around. At the end of the day, what you get here is one person's synthesis of the geometric cannon set out around the numbers 1 to 10. This is just one way, often adopted by the Greek writers, to approach the subject. As you may guess, this approach lends an inherent bias towards a cabbalistic view of mythical traditions and the interpretation of geometric forms and configurations. Getting through this book and confronting my own issues with it made me think about geometry and what I am interested in learning about. The basic numbers (and their roots - which are hardly discussed) are certainly powerful metaphors for understanding form, and nature does indeed use a myriad of geometric structures in her creations. This seems to be the solid, even scientific, basis upon which the art of geometry is founded. But beyond this point it all starts to get rather diffuse and analogical, by which I mean: disparate phenomenon get lumped together as a 'family' because they all exhibit some type of five-fold geometry in their form for instance. This approach is nothing more than the dead-end dialectics of two or more things having an 'affinity', 'resonance' or 'correspondence'. This is not what I am looking for! I am seeking something more rational and scientific in its approach. There are many potential areas of exploration - the symmetries found in the properties of sub-atomic particles, an exploration of how sound and vibration manifest as visual patterns, the symmetries and dynamics of fields, how our brain structures our perceptions. Even if such a study cannot answer so many questions it at least asks them and that can help to lead geometry away from its speculative past into a more relevant and instructive future. 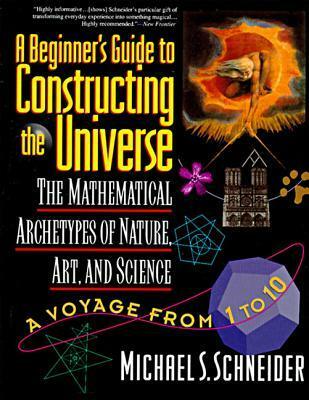 This book gives you an endless array of disconnected facts, which can provide a springboard for one's intuition but I believe that the subject of geometry demands and requires much more than that. This is a GREAT book for any one learning introductory geometry. I am using it in my geometry classes. It shows tons of examples of geometry in nature and art; it opens your eyes to see the geometric relationships and patterns that surround us. There are a couple problem points. He gets a little over-the-top philosophical some times and I have found errors, not typos but mistakes in math or physics, in several places. Despite these I’d say its well worth reading, even if only for the pictures! FASCINATING read on sacred geometry and the archetypes of the numbers 1-10: where they show up in nature, language, history and architecture, and how they inform every aspect of our own being/consciousness/transformation. Definitely esoteric and not for everyone, but I loved it. Recommended by my teacher at Katonah Yoga, Nevine Michaan. I wish they would teach geometry like this in school! I've read this book many times over, one of my very favorite books on numbers. Instructions for making the platonic solids out of paper and golden calipers too. This book is about math and how it has influenced the world. It shows how nature uses math to create harmony. Really intersting to learn about. If you read it, take it with a grain of salt- I'm pretty sure many parts are opinion stated as fact. Would recomended it. Fascinating! I enjoyed how Schneider explores the world using geometric principles. Geometry was always my least favorite part of math, but after reading this it’s now one of the most interesting. Math needs to be taught more often by using real world connections! I had to zoom through this book after having allowed it to languish until the library due date was upon me. Every chapter was faacinating and intriguing. I just didn’t know—until now. I’ve had to set this aside until I can get my hands upon another copy. I’ll be watching!! An atypical book. Very new-agey, light on the math but still engaging. A lot of interesting points and connections throughout nature, but it got a little too much into mumbo jumbo. This is a fantastic book about mathematics! The most frequently asked question students in the public education system have of their math teachers is 'When am I ever going to use this (math concept) in my life?' And it is a valid question. So much of what is taught in math classes has no practical value for most people; the few things that are taught in math classes that have practical value are not presented in the context of here is how this relates to everyday life; and much of math that has This is a fantastic book about mathematics! The most frequently asked question students in the public education system have of their math teachers is 'When am I ever going to use this (math concept) in my life?' And it is a valid question. So much of what is taught in math classes has no practical value for most people; the few things that are taught in math classes that have practical value are not presented in the context of here is how this relates to everyday life; and much of math that has practical every-day value is not taught in common core math classes for who knows what reason. A Beginner's Guide looks at numbers from a different perspective. Numbers matter in the real world because they are symbolic representations of the very essence of what makes up the universe. Numbers are everywhere, working behind the scenes whether we appreciate them or not! When you finish this book you won't be any better at balancing your check book, but you will never look at the world or the universe the same way. So much I didn't know about the numbers one through ten! I think I would have understood, appreciated, & enjoyed geometry more in Jr. High had I been exposed to the history of geometric thought & seen how to construct all the shapes from first principles. The book would have been better (albeit certainly more expensive) if the many photos of paintings from the renaissance & antiquity had been printed in color on nice paper rather than in black & white on (what seems to be) cheap So much I didn't know about the numbers one through ten! I need to re-read this one more. I find new insights every time I read it. Perhaps one of its most interesting underlying perspectives is that math is built into the structure of the world as we know it, and we, too, can learn to use this powerful tool. And in my spare time (ahem) I really want to try some of the hands-on exercises Schneider prescribes for drawing and meditating on life's underlying geometry. And then I'd even like to color it in.